The University of Edinburgh has announced it is ditching all its fossil fuels investments. It follows its commitment, made in 2016, to become carbon neutral by 2040. The university aims to complete its transition out of fossil fuel investments – currently representing less than 1% of its total funds under management, which is around £1 billion – within three years. 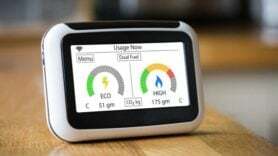 It said the latest announcement is part of its transition towards a low carbon economy and has already invested more than £150 million in greener technologies, climate-related research and businesses that directly benefit the environment since 2010. More than 60 UK universities have now divested from fossil fuels.